Criminal prosecution for violating federal workplace safety standards is still rare, but one prosecutor says, “they’ll be more of these ideally,” after a grand jury charged eight company officials in a recent case. The eight former supervisory and safety officials at bankrupt Armstrong Coal in Madisonville, KY, were charged by a federal grand jury with conspiracy to defraud the Mine Safety and Health Administration (MSHA). All eight face up to five years in federal prison and up to a $250,000 fine if convicted. The indictment charges the eight former Armstrong employees sought to falsify federally mandated coal dust tests designed to protect miners from pneumoconiosis, aka Black Lung disease, at the Parkway Mine of Muhlenberg County, KY, and Kronos Mine of Ohio County, KY.
A mine superintendent twice mandated a safety official take whatever action was necessary to ensure that the company passed dust sampling tests. The bankrupt company is designated as a co-conspirator in the indictment. The eight charged were a superintendent, two safety directors, one assistant safety director, three section foremen and another employee in the company’s safety department. Federal officials investigated the two Armstrong mines following complaints from two miners. 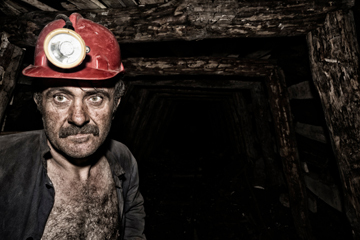 The two miners now both suffer from Black Lung which does irreparable lung damage and can lead to death.